Josh Zastrow submitted this photo and caption. 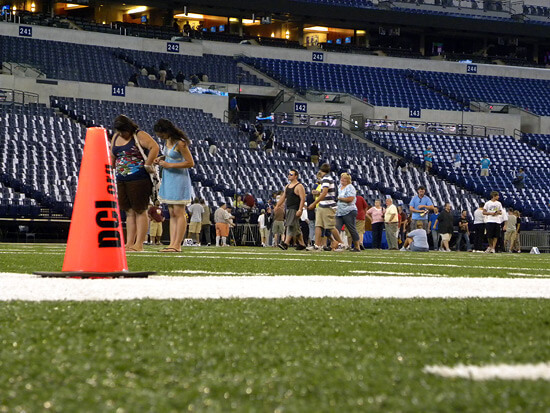 This photo is at Lucas Oil Stadium at the 2009 World Championships when DCI gave tours of the field and the route that the corps would take to the field during their pre-performance. I thought this was a cool perspective. I'm a massive DCI fan thanks to my dad and grandpa who both marched for six years before they aged out.